Ah, there’s nothing quite like receiving a windfall of money. It may come by way of an unexpected inheritance, a work bonus or a job promotion. And depending on how you spend it, that sweet bit of extra cash may leave you feeling either relaxed or stressed out. While it’s tempting to spend it immediately, you know it’s in your best interest to sock most of it away for the future. As tempted as you may be, don’t fall prey to lifestyle inflation. While you may want to move into larger digs or buy that sleek new ride you’ve had your eye on, hold off for now. This doesn’t mean that you won’t ever upgrade your lifestyle. It’s just a better idea to make sure you have your financial bases covered before you begin to indulge. Instead, pay yourself first and this way you’ll be putting your money toward what’s most important to you. From here, divvy up your extra cash into specific accounts, or transfer it into a single money goal for an impactful punch. If you’re committed to saving a certain amount each month for your money goals, don’t let this fall by the wayside. While it’s easy to be lured into splurging on non-essentials, such as a new wardrobe or shiny Airstream trailer, use your windfall of cash to propel your existing goals. If you really want a new toy, set up a specific savings account and commit to putting money into this bucket each month. Now that you’ve got some extra cash in the bank, it’s time to do a happy dance. Why not enjoy some of this newfound money? But here’s the thing: if you’re going to indulge, do it within reason. Save a specific amount for fun or spend whatever is leftover after you save for your goals. Rent that sports car for a day, go on a safari wine cruise, or dine at the restaurant featured on Chef’s Table. Just don’t spend it all. When I have a great month as a freelancer, I allocate anywhere from five to 10 percent of “extra money” toward a spending account for pure indulgences. I save the rest in my emergency fund, as well as my savings accounts for a new car, investing, gifts, and retirement. What’s great about planning out your splurges is that can still save prudently. Plus, you’ll have a better idea of how much you can afford to spend. This will go much further than blowing your entire windfall of cash all at once. While you may be tempted to spend that extra cash on something frivolous, it’s a much better idea to pretend it doesn’t exist and keep saving for your goals. When I was fresh out of college, I received a small windfall of cash from my mom. She had just bought my brother a new car, and be fair to me, she cut me a check for a sizable down payment on new wheels. I was living in a squat apartment at the time, and barely bought anything beyond the bare essentials. In fact, I only afforded myself one long weekend trip a year. Trust me, I was tempted to burn through that money. Instead, I squirreled it away, put myself through an amnesia machine, and tried to forget I ever received it. Even when I landed a job promotion and made more headway on my savings, that money never left my account. 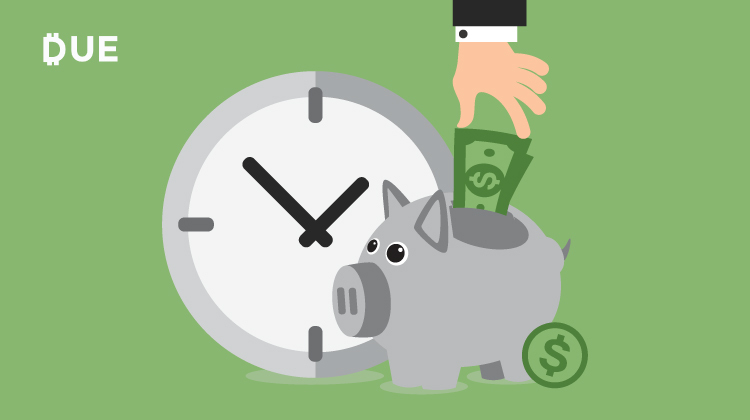 By practicing delayed gratification and employing the other tried-and-true tricks listed here, you’ll stay motivated to save long after you receive that windfall of cash. And, by developing healthy money habits, you will hopefully see your overall financial sitch improve. This article was originally published on Chime by Jackie Lam.